As severe drought returns to New Mexico, farmers and skiers alike fret over the state's lack of snow. Meanwhile, on a cold, cloudy Monday morning in Washington, DC, attorneys for New Mexico, Texas, Colorado and the United States government grappled over the muddy waters of the Rio Grande. In its US Supreme Court case against New Mexico and Colorado, the State of Texas says that by letting farmers in southern New Mexico pump from wells near the Rio Grande, our state has failed to send its legal share of water downstream. The water fight has some New Mexicans gnawing their nails—and not just southern farmers whose water rights could be cut if Texas prevails. 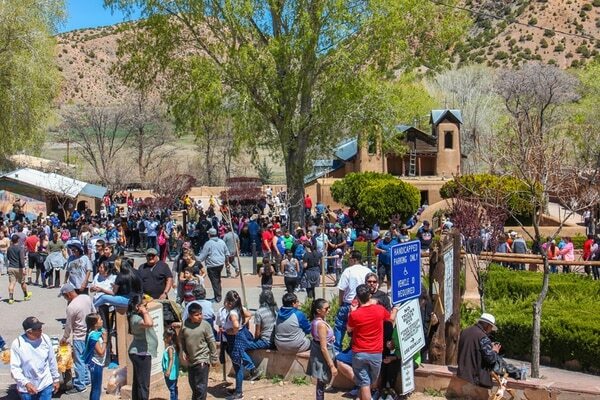 Monday's oral arguments before the court, over whether the feds can intervene under the Rio Grande Compact, drew a large crowd from the Land of Enchantment. Watching the proceedings from the audience were some of the state's most prominent water attorneys, as well as Attorney General Hector Balderas, State Engineer Tom Blaine, an entire crew of employees from the Office of the State Engineer, officials from the City of Las Cruces and the Albuquerque Bernalillo County Water Utility Authority, and US Sen. Tom Udall. Like everyone else, New Mexico's senior senator, a Democrat, had to check his coat and belongings before entering the court, and after arguments, Udall said he wanted to be there because the case will affect the management and division of water use by farmers and communities for decades. 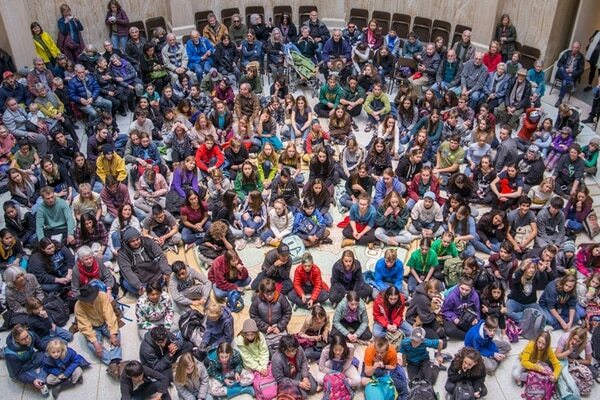 "Regardless of the ultimate decision, it's critical that we understand that one of the root causes of the dispute is the increasing scarcity of water in the Southwest, and climate change is making that worse," he said. "We must seek cooperative solutions or there will be more disputes over water—not fewer." There's a lot at stake: The state has already spent $15 million on staff and legal fees. And if the Supreme Court decides in favor of Texas, New Mexico could owe a billion dollars or more in damages and be forced to curtail groundwater pumping around places like Hatch, Las Cruces and Mesilla. Now entering its sixth year, No. 141, Original: Texas v. New Mexico and Colorado stems from a deal two irrigation districts signed with the federal government during the drought of the 2000s. After the relatively wet decades of the '80s and '90s ended, the Elephant Butte Irrigation District and El Paso County Water Improvement District No. 1 watched reservoir levels drop. In 2008, they decided to share water through dry times. The two signed a new agreement with the US Bureau of Reclamation, operator of the Rio Grande Project, which is anchored by Elephant Butte Reservoir. But the two states weren't parties to that agreement—and then-New Mexico Attorney General Gary King sued the federal government, alleging too much water was being given to Texas. In 2013, Texas fired back against New Mexico and Colorado, pointing out that by allowing farmers to pump groundwater connected to the Rio Grande, New Mexico had for decades taken more than its legal share of water under the Rio Grande Compact of 1938. That's the case moving through the US Supreme Court. But things are even more complicated than they seem. That's in part because under the compact, New Mexico doesn't deliver Texas' water at the state line. Rather, water goes to Elephant Butte Reservoir, about 100 miles north of Texas. From there, the Bureau of Reclamation delivers it to farmers in both southern New Mexico and Texas. Now, the United States says that by allowing farmers to pump groundwater, New Mexico has harmed its ability to deliver water under the compact, as well as under the international treaty with Mexico. And that brings us to Monday's oral arguments before the Supreme Court. After the marshal opened court to session (though not with the sonorous "Oyez! Oyez! Oyez!" that podcast listeners might be familiar with from Radiolab's More Perfect), the nine justices handled initial business then turned their attention to the Southwestern water case. When New Mexico signed the Rio Grande Compact, the feds say, it agreed to protect the Rio Grande Project and allow Reclamation to release water to meet treaty and compact obligations. "Where the compact protects specific federal interests that are at stake in the dispute that's been filed in this court, then we believe the United States can intervene as a plaintiff and bring claims against New Mexico that are based on that compact," said Ann O'Connell, assistant to the solicitor general with the US Department of Justice. She later added that the federal government's interests are at stake in delivering water to Mexico—and therefore it wants to be a party to the case, representing federal interests, rather than being an impartial amicus. "The court's standard for intervention is that intervention of the United States is appropriate where there are distinctive federal interests at stake that are best presented by the United States," she said. Speaking Monday night, John Stomp, chief operating officer of the Albuquerque Bernalillo County Water Utility Authority, said he worries about federal overreach and states' water rights. Along with the City of Las Cruces, the authority had filed amicus briefs in the case, opposing the position of the US. If the Supreme Court allows the federal government to intervene in the case under the compact—which seems likely, just based on questions justices asked on Monday—and Reclamation can start making decisions about groundwater pumping in the Lower Rio Grande, that could be a "real problem" for New Mexico, Stomp said. "It seems simple enough to say, 'Okay, what's the next step for the feds? Do they own the groundwater in the Middle Rio Grande also? Or in other areas where they have reservoirs or compact deliveries?'" he said. "We don't know where it stops." There's no doubt that the federal government, Texas and Colorado drew big guns for oral arguments, including previously mentioned assistant to the solicitor general O'Connell; Scott Keller, solicitor general of Texas; and Frederick Yarger, solicitor general of Colorado. Of the four parties, New Mexico was the only one to have a private attorney stand before the mahogany bench. Marcus Rael Jr. of Robles, Rael & Anaya in Albuquerque represented New Mexico; his former law partner, the New Mexico Attorney General Hector Balderas, watched from the gallery. Rael may be politically connected, but he's not a water attorney. And until Monday, he also lacked experience before the high court. During the fast-paced arguments, seven of the nine justices questioned each of the attorneys, parsing their way through Western water rights and the role Reclamation plays in both Texas and New Mexico. (Clarence Thomas stayed characteristically quiet and Samuel Alito asked no questions.) Many asked questions about the compact, the Reclamation Act of 1902 and treaty rights. For Associate Justice Stephen Breyer, however, the case was clear. In response to Colorado's opposition of federal intervention, Breyer cited the US Constitution, which allows the federal government to intervene in cases in its own interest. "Obviously, the founders who wrote this wouldn't want three or four or five or six states to enter into some compact that might wreck the Union," Breyer said. "So doesn't that suggest that they do have a right, the United States, to intervene, at least where there is a federal interest?" It seems "quite simple," he said: "The Constitution foresees that they can intervene where there's an interest. They have several interests. End of case, unless there is something that I don't see." Colorado and New Mexico don't see it that way, of course. New Mexico doesn't object to the US joining the case; in fact, the state argues it is a necessary party to the suit. But New Mexico doesn't want the federal government to raise a claim under the Rio Grande Compact. After questions from multiple justices, including Ruth Bader Ginsburg, Sonia Sotomayor and Elena Kagan, New Mexico's Rael tried to clarify that distinction, noting that the US doesn't own water rights itself under the compact or through the Rio Grande Project. "Those water rights are owned by the landowners themselves who are represented by their individual states as parens patriae," he said to Kagan. "And so the United States has an interest in the project, and they can certainly sue to enforce to make sure that we're meeting our—that we're not interfering with its project obligations, but it can't sue us under the compact." In a way, this is familiar ground for New Mexico. In the 1970s, Texas sued New Mexico over the Pecos River, alleging that for decades New Mexico shorted it on water deliveries under the Pecos River Compact of 1948. That case was "vigorously litigated by New Mexico," says Jay Stein, of the Santa Fe firm Stein and Brockmann, which, in this case, represents Las Cruces and Albuquerque's water utility. During the Pecos showdown, Stein worked for the Office of the State Engineer. New Mexico disputed the magnitude of Texas' claims, he says, with hydrological evidence and legal motions—and reduced the shortfall it owed by about 70 percent. Texas was originally claiming damages of over $100 million, he says, and New Mexico ended up paying just $14 million. As part of the Pecos settlement agreement, implemented after New Mexico lost the case in the US Supreme Court, the state also spent about $100 million buying water rights and drilling augmentation wells, all to make sure it complies with the compact and makes its deliveries to Texas. In a 2002 book on the case, High and Dry: The Texas-New Mexico Struggle for the Pecos River, G Emlen Hall writes that no winner emerged in that suit. "The lawsuit was a bottom-feeder, sucking up an entire river basin, the institutions built for it, the communities dependent on it and the human lives devoted to it," writes Hall. "The lawsuit didn't so much chew up and spit out in pieces the things with which it came into contact as it swallowed them whole, leaving only the outlines of its victims, distended and struggling, in its maw." Stein uses less colorful language, but warns that No. 141 is important—especially if the Supreme Court agrees with O'Connell's arguments on Monday. 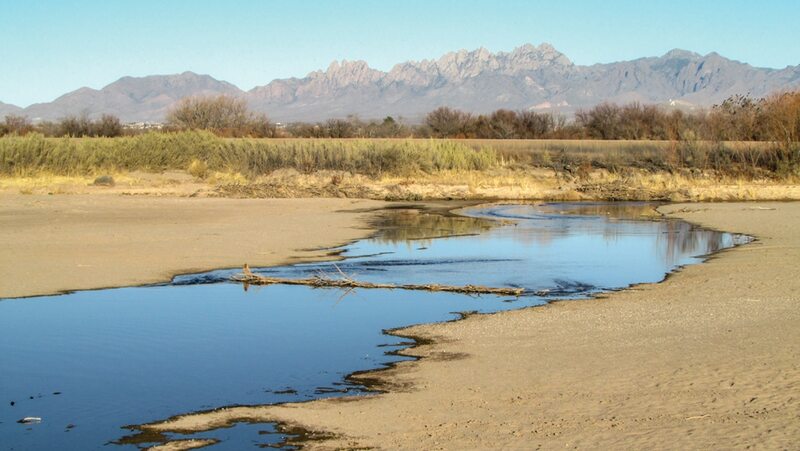 In that event, New Mexico will face not only Texas' claims, but the federal government claiming ownership or administrative control over groundwater in the Lower Rio Grande, Stein says. After the Supreme Court decides on the federal role, the real work starts: parties filing answers and counterclaims, presenting factual defenses on the record, performing hydrologic studies and more. Much more. 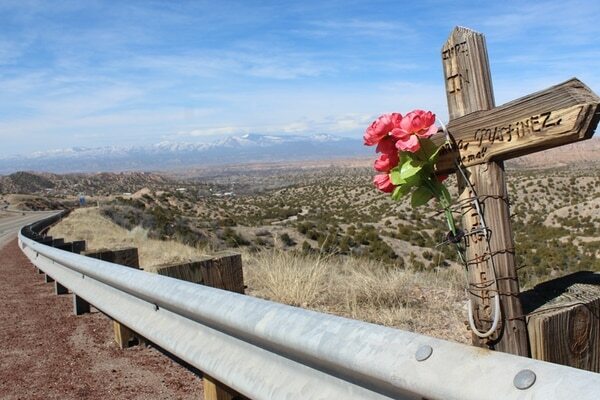 Outside the courtroom, there's another reality to acknowledge—one that people in Albuquerque wearing short sleeves on Christmas or Santa Feans looking up at the snow-starved Sangre de Cristos already know. As the region keeps warming, ground and surface water supplies are already under pressure. Last year was the warmest on record for New Mexico, and that trend will continue. Recent studies show that flows on the Colorado River and Rio Grande are expected to decrease, and that warming affects groundwater supplies. That's in part because when rivers and streams are low, people try to get more water from below ground. Where there are conscious efforts to protect or supplement aquifers, groundwater levels can start to rebound. But in many other places, from Hobbs to Gallup, groundwater levels are dropping at alarming levels—and even still show the impacts of being overpumped during the drought of the 1950s. In a 2015 report to the New Mexico Legislature, scientists wrote that the Mesilla Valley aquifer "may no longer have the capacity to provide a reliable, supplemental supply during extended drought conditions and with the current levels of intensive use of groundwater." Between 1985 and 2010, they found, water users in Doña Ana County depleted the aquifer by 2.5 million acre-feet. They also found that between 2002 and 2015, groundwater pumping in the Mesilla Valley resulted in a 26-foot water level decline in one location. Just last week, the National Weather and Climate Center released its water supply projections. For the Rio Grande Basin, snowpack and precipitation are at or near record lows. "While there is still time to recover, the snowpack deficits are already large, and chances for spring and summer streamflow being anywhere near normal are highly unlikely," the forecast hydrologist wrote in his email with the preliminary forecasts. "For many forecast points, there is a better chance of setting a low runoff volume record than there is of seeing near normal runoff." That's bad news for everyone, especially farmers in southern New Mexico who feel they're not represented by any of the interests—New Mexico, Texas, Colorado or the federal government—duking it out over the Lower Rio Grande. Recall that New Mexico's water deliveries to Texas are complicated under the Rio Grande Compact: New Mexico doesn't deliver water across the state line, but to Elephant Butte Reservoir. Downstream of the reservoir, but north of the state border, there are about 60,000 acres of fields and orchards. The Elephant Butte Irrigation District tried unsuccessfully to intervene in the Supreme Court case, and while the district's attorney, Samantha Barncastle, had tried to be optimistic, Monday's arguments left her nervous. "We don't know who is going to look out for EBID's interests," she says. The state engineer, she says, has historically protected cities over the interests of farmers. The federal government has its own interests and is now setting its sights on groundwater pumping. And during oral arguments, Texas' attorney said his state didn't agree with the 2008 Operating Agreement EBID had signed with Reclamation and the Texas irrigation district—the agreement New Mexico opposed all along. That puts EBID back on the chopping block, she says. "It's absolutely imperative that our ag economy continue to have access to the groundwater, our savings account, when there's not water in the reservoir, which is our checking account," Barncastle says. "Farmers, like every other water user, have no interest in seeing the savings account run dry. We don't want to harm it. We just want to be able to rely on it in times of need." She also worries that if the justices decide that the US can assert a federal interest in a case between states, that could affect other interstate river compacts. What Barncastle seems to want more than anything, though, is an end to fighting. It would be better for people to control their own destiny, she says, and work together instead of litigating. "When you're talking about a multi-billion dollar agricultural economy and municipalities and colonias, and all these different water users, you have got to look at other solutions beyond pure litigation," she says. As interesting as it was for everyone to come to the Supreme Court this week, she says, how things might shake out is scary. Leaving the court later that day, past the contemplative figure of Justice and her scales, the gray sky starts to spit freezing rain. Women flip open umbrellas, men hunker down into their scarves. New Mexicans, though, lift their faces to the rain. This story was reported in partnership with NM Political Report, New Mexico In Focus and KUNM-FM. Read the background documents on Texas v. New Mexico and Colorado. Does No. 141, Original: Texas v. New Mexico and Colorado have you befuddled? It's okay. Things are complicated. Here's a timeline to help you keep track of the Supreme Court lawsuit New Mexico is facing on the Lower Rio Grande. 1902 – The United States Reclamation Service (now the US Bureau of Reclamation) is established to study and develop water resources in Western states. 1906 – The United States and Mexico sign a convention to ensure the Rio Grande's waters are shared equitably between the two countries. 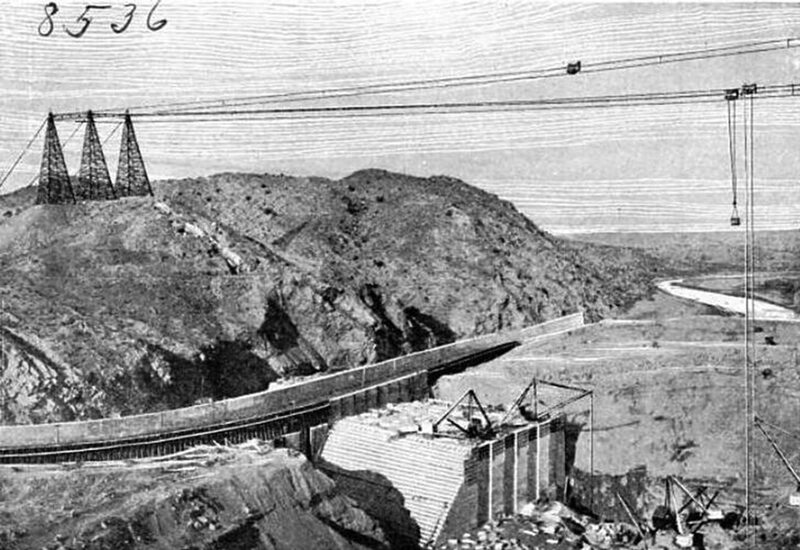 1906 – Construction begins on dams and canals on the Rio Grande. Leasburg Diversion Dam and Canal is completed in 1908, Elephant Butte Dam in 1916 and Caballo Dam in 1938. The Rio Grande Project, operated by the Bureau of Reclamation, provides irrigation water to farmers in southern New Mexico and Texas. 1938 – Colorado, New Mexico and Texas work out the Rio Grande Compact in a desire to "remove all causes of present and future controversy" among states and their citizens. The treaty was ratified by the three states and passed by Congress in 1939, and amended in 1948. 1950s – Drought strains water supplies along the Rio Grande. Farmers along the Rio Grande in Southern New Mexico and Texas drill about 1,000 new irrigation wells to supplement surface water supplies with groundwater. 2003 – After decades of relatively wet conditions, drought hits New Mexico, putting a strain on Rio Grande water supplies and reservoir levels. 2006-2007 – US Bureau of Reclamation creates a new operating procedure, which water users in southern New Mexico (Elephant Butte Irrigation District) and Texas (El Paso County Water Improvement District No. 1) sue over. 2008 – US Bureau of Reclamation, the Elephant Butte Irrigation District, and the El Paso County Water Improvement District No. 1 come to an agreement over water deliveries and sharing. The states of Texas and New Mexico are not a part of this new operating agreement for the Rio Grande Project. 2011 – Then-New Mexico Attorney General Gary King sues the US Bureau of Reclamation in New Mexico federal district court over the 2008 Operating Agreement, alleging that too much water was being given to Texas—water that should have stayed in New Mexico. 2013 – Texas sues New Mexico and Colorado in the US Supreme Court over violations of the compact. Texas alleges that by allowing farmers to pump groundwater connected to the Rio Grande, New Mexico has been taking more than its share of compact water. Texas wants the court to make New Mexico pay for the water it has been taking, over the course of many decades. 2014 – Special Master A Gregory Grimsal is appointed in the case and directed to submit reports to the court. 2014 – US Bureau of Reclamation intervenes in the case, alleging that by allowing farmers to draw water from the river and below ground, New Mexico is allowing people to use more water than they legally should. And it says New Mexico's diversions interfere with water deliveries to Mexico. 2015 – In a report to the New Mexico Legislature, scientists note that the Mesilla Valley aquifer "may no longer have the capacity to provide a reliable, supplemental supply during extended drought conditions and with the current levels of intensive use of groundwater." 2016 – The special master releases his draft report, which indicates Texas has the upper hand in the lawsuit and recommends the high court reject New Mexico's motion to dismiss. September 2016 – US Bureau of Reclamation releases its final decision and environmental studies related to the 2008 Operating Agreement, which outlines operations through 2050. 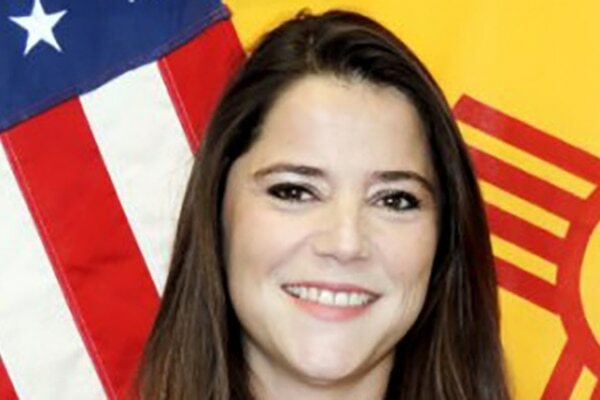 January 2017 – New Mexico Office of the Attorney General, Office of the State Engineer and the Interstate Stream Commission announce they are working together on the case and also enter into joint defense agreements with New Mexico State University, PNM, the New Mexico Pecan Growers Association, Southern Rio Grande Diversified Crop Farmers Association, the City of Las Cruces and Camino Real Regional Utility Authority. February 2017 – Special Master finalizes his first interim report. Parties have the chance to reply and/or file exceptions to his report. 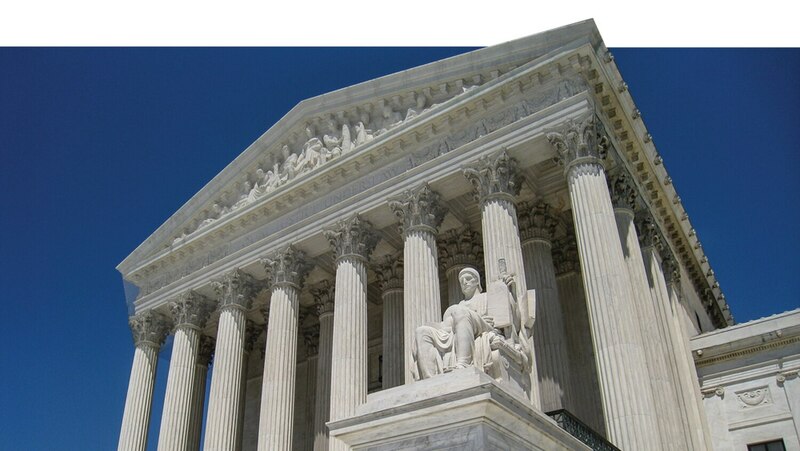 January 2018 – Oral arguments occur in US Supreme Court. Justices hear from attorneys for Colorado, New Mexico, Texas and the federal government.